Twice. 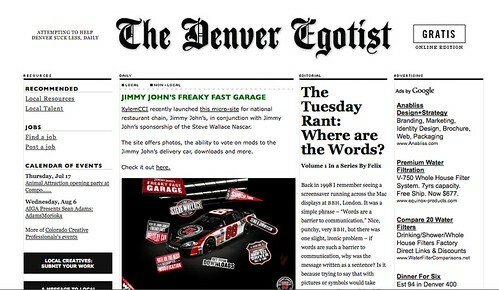 Count ’em, TWICE today, The Denver Egotist reported on sandwich shops launching new websites. Um, excuse me, but this is MY domain. Do yourself and everyone else a favor and leave the sandwich reporting to the professionals – which is me. 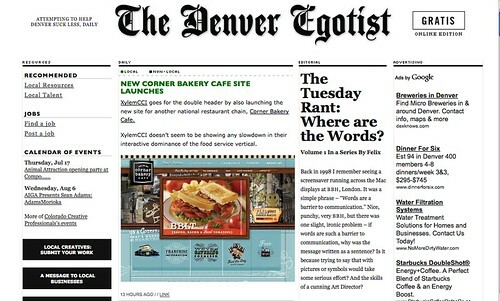 Posted on July 16, 2008 by NealPosted in Turkey Sandwiches in DenverTagged denver egotist, my turf, turkey sandwiches, websites. I thought you were the Turkey Sandwich man. What, now you’re saying this gives you dominion over all sandwiches? Being generally considered an expert in the field of Consumption and Education of Turkey Sandwiches, it can also be inferred that Neal is also more educated on the subject of General Sandwich Knowledge. In fact, if you <a href=”http://www.google.com/search?source=ig&hl=en&rlz=&=&q=sandwich+blogs&btnG=Google+Search”search for the term “sandwich blogs” on Google, some of Neal’s blog entries come up on the very first page of results (in the wordpress.com link). This should be the link included above. I’m an idiot.